Running Press Miniature Editions, 9780762446148, 128pp. Millions continue to laugh along with the unforgettable cast of Friends: Rachel, Ross, Monica, Chandler, Phoebe, and Joey. Whether dealing with life's highs or lows, these six best friends could teach us everything we need to know about life, love, and friendship. Featuring memorable quotes and full-color photos, this book offers fans the best wit and wisdom from one of the most popular shows on TV. Friends is an American TV sitcom that aired from 1994 to 2004. The series was a massive critical and popular success throughout its run, and was a staple of NBC's Thursday night Must See TV” lineup. The show followed six unforgettable friends living in New York City: Rachel, Ross, Phoebe, Joey, Monica, and Chandlerrecently dubbed by TV Guide the most beloved sitcom cast of all time. 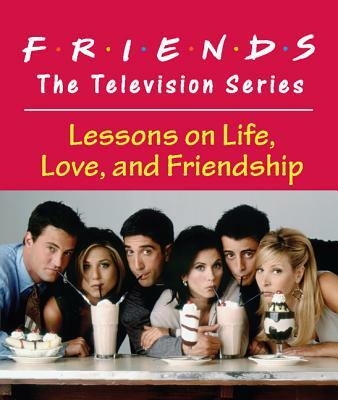 Friends remains a TV favorite on DVD and in syndication.